Elliott Australia has entered the ranks of the 2008 Q400 list. 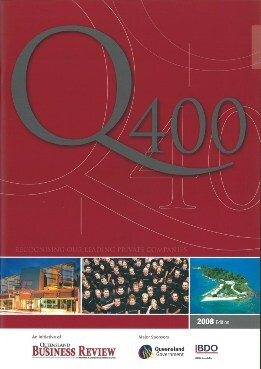 The Q400 is a unique program that aims to recognise the achievements of Queensland's top 400 privately owned businesses. Launched in 2002, The Queensland 400 (Q400) is the premier forum for recognising and promoting the success of the State's unsung business heroes. The prestigious awards assess their profitability, turnover, assets and staff numbers of privately owned Queensland businesses. Our recognition on the list would not be possible without the hard work, dedication and commitment of all Elliott Australia team members.